Most methods and mathematics assume stationary signals and LTI systems (Linear and Time Invariant). In real life, systems can be non-linear and input signals transient (pot holes or “shots”). In such cases, the traditional analysis and methods can create large errors. This has been found in transient sound and vibration exposure on humans. One such example is related to transient vibrations for a driver’s seat. 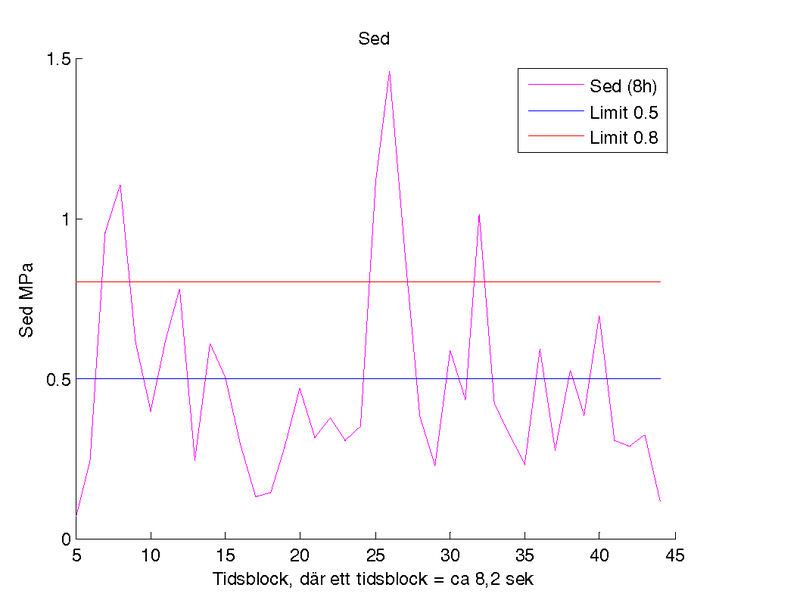 The vibrations in the seat measured by a seat pad was higher than the input vibrations to the seat measured by an accelerometer at the seat base. Hence, the “damping mechanism” amplified the vibrations when transient vibrations occurred. Below, some data outlining Sed, the compression on the spine, for a truck application where there are many transients in the data. As can be seen, the levels are very high and the risk for injury is eminent. According to the authorities this was a “green light” application. Levels were supposed to be “below the legal limits”. That was not the case! It turned out that if the “air seat” was disengaged, levels lowered substantially.